Uni-Ali’s 3rd and possibly final Solo Studio album, recording some of the material at the legendary Bao Pham’s Mixology is the crispiest, hardest hitting, and most aggressive material Uni has ever produced. It’s so heart charging it’s actually a little scary at times. Uni takes you deep into his dark soul and reveals to you his true aggression. This one is a CLASSIC if you HAVEN’T heard you must listen to it now. Hit Play! Posted by Adminstrator in Solo on February 16th, 2014. 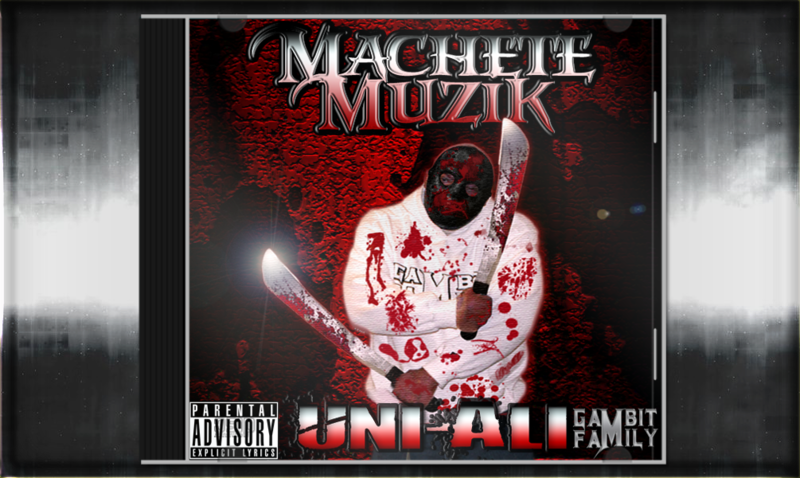 This post has Comments Off on Uni Ali: Machete Muzik.